Oct 21, 2015 (LBO) – Sri Lanka’s new administration is facing a lot of internal and external challenges with the economy received from the former regime and it will take a longer period to adjust policy and economic reforms, Eran Wickramaratne, deputy minister of state enterprise development, said. “As you know the new government faces a lot of challenges in the economy and we have taken the office in a period that the global economy and the regional economies in China and India are slowing down,” Wickramaratne said. 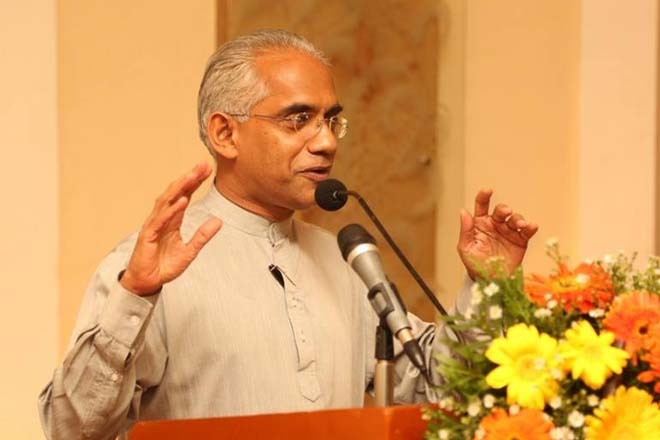 Wickramaratne was speaking at a forum held to launch the policy report “Sri Lanka State of the Economy 2015” released by the Institute of Policy Studies. “The country is facing a twin deficit, a current account deficit as well as budgetary deficit, we have hard choices to make particularly as we face these deficit. We have to think very hard on what we are going to do particularly in areas like export policy, on what government role is going to be, and the government intervention it will really require,” he said. Sri Lanka’s export share of gross domestic product has shrunk to less than 15 percent, the newly released report from IPS says. These reforms implementations will help the island attract the right kind of foreign direct investments that bring technology and knowledge transfer to instil competitiveness across the country, the report says. It also says the economic policy challenges for the new government are many. The first and immediate priority is fiscal consolidation. “A stronger fiscal position is necessary to stabilize macroeconomic fundamentals and lay a platform from which broad based productivity enhancing reforms can begin,” the report says. Economists argue the country needs policy adjustments not only export but need attention in overhauling tax system, tackling loss making state owned enterprises, improving labor market efficiencies, filling the skill gap in workforce, improve productivity of agriculture delivering better safety nets to the poor and venerable to name a few. “We have to be clear what is our interest rate policy going to be and what are our monetary policies going to be which should be handling these challenges what we have,” Wickramaratne said. He said one of the immediate policy the government would be work on is the stability in terms of the reserves while the government introduce the necessary reforms. “We have made a start particularly in terms of understanding the rule of law will be paramount important and looking at administration reforms and also in terms of rationalizing the tax structure.” Wickramaratne added.